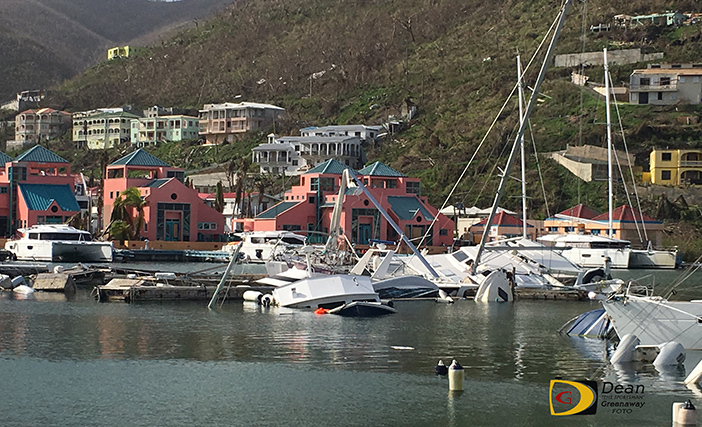 Despite being hit by two Category 5 Hurricanes—Irma and Maria—within 12 days, the message from the BVI Spring Regatta Organizing Committee is strong and clear. “We will be racing again! We want sailors to know to plan to come back and race in 2018,” says Regatta Director, Judy Petz who has been helping coordinate immediate supplies and fund raisers since disaster struck. “We are determined that in six months time, the 47th BVI Spring Regatta will go ahead. It might look a little different, but we’ll still be putting on a great regatta. Petz said she has been overwhelmed by the offers of help and support from the event’s ‘regatta family’ and followers around the world. Visiting yachtsmen she said, will make an important contribution towards the recovery of tourism and the economy in the region. She stated that It may seem a little premature to start reaching out to sailors and to talk of planning events when the daily lives of so many are still in turmoil, but one of the best ways to support and help rebuild the islands is for sailors who have been welcomed here so warmly, continue with their plans to join the regatta as part of their Caribbean racing circuit. This she noted, will help rebuild the country, restore tourism and the future of these wonderful islands. 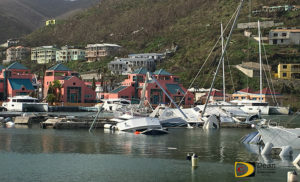 Petz noted that Nanny Cay has supported and hosted the BVI Spring Regatta & Sailing Festival for many years and has been badly affected like the rest of Tortola and its neighboring islands. Progress, with the support of the Royal Marines, she added, is happening daily. She also noted that the Nanny Cay team and community have been working tirelessly since the disaster. The Dunkirk-like and Caribbean spirit prevails and has seen everyone working together: staff, residents and the local community to start rebuilding in order to continue to host events and support the marine industry on which so many rely.